Rep. Ben Ray Lujan (D-NM) will run for the Senate, opening a spot in House Democratic leadership and making him the front-runner to replace retiring Sen. Tom Udall (D-NM). 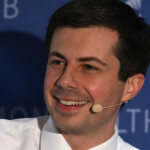 South Bend Mayor Pete Buttigieg (D) raised more than $7 million in his first fundraising quarter as a presidential candidate, he announced Monday morning, an impressive haul for a candidate whose name few voters knew how to pronounce when he jumped into the race. 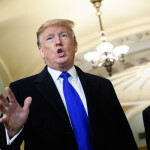 President Trump has his work cut out for him in one of the key states that handed him the presidency, according to a new poll from Emerson College. 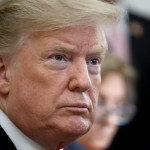 A majority of Americans believe President Trump’s claims of “complete and total exoneration” following his attorney general’s letter outlining the Mueller report aren’t true, according to a new poll from CNN. It’s still early, but President Trump might not get the polling bump he’s hoping for from the end of the Mueller investigation. A new poll from Morning Consult finds that Trump’s approval rating is virtually identical to where it was last week: 42 percent approved of the job Trump is doing, and 55 percent disapproved. 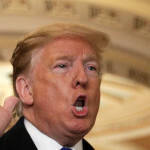 The poll, conducted Monday and Tuesday, is just a snapshot during a period where voters were just getting their heads around Attorney General William Barr’s letter to Congress that Mueller had found Trump didn’t collude with Russia and left the question of obstruction open. 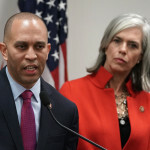 Trump and Democrats are furiously fighting to characterize the letter’s findings, and the release of the actual Mueller report, if that occurs, could dramatically shake things up once again. The Barr letter also doesn’t appear to have broken through in a major way with voters — at least not yet. Just 35 percent had heard “a lot” about Mueller’s findings, the poll found, numbers on par with those around Paul Manafort’s sentencing and significantly lower than those who knew much about his border emergency declaration or the college bribes scandal. 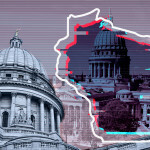 That could change — it’s still early, and the complicated issue may take a while to bake in with voters. But right now the Barr letter appears to be more of a political Rorschach test than a game-changer — and Trump’s gleeful if inaccurate claims that he’s been “fully exonerated” don’t seem to be improving his standing with voters. Less than 36 hours after Attorney General William Barr frustrated Democrats with his letter outlining the Mueller report, he handed them what many see as a political gift. 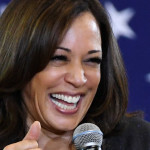 Sen. Kamala Harris’s (D-CA) campaign fleshed out the first big policy proposal of her presidential campaign Monday morning, detailing a plan that would raise the average public school teacher pay by $13,500 per year. Rep. Ruben Gallego (D-AZ) has decided against a Senate bid, a huge relief for Democrats who worried a competitive Senate primary in the state could damage their chances at defeating Sen. Martha McSally (R-AZ) in 2020. 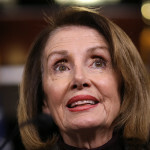 House Speaker Nancy Pelosi (D-CA) wants to make sure her members keep pushing to see the full Mueller report — and fire back on arguments that it exonerates Trump.